James Gunn’s firing from the Guardians of the Galaxy franchise prompted Marvel Studios to postpone the series’ third installment earlier this summer. Now, it looks like we might finally have some new information on who could replace him as The DisInsider is reporting that the studio might be eyeing Travis Knight (Bumblebee, Kubo and the Two Strings) to helm the film. Meanwhile BirthMoviesDeath has added another name to the rumor mill, stating that Paul Feig (Bridesmaids, Ghostbusters) has been mentioned off-the-record as someone Marvel is also looking at to possibly take over the franchise. Knight began his professional career as an animator, eventually becoming president and CEO of Laika (owned by his father, Nike’s Phil Knight) where he produced films like Coraline and ParaNorman. He made his directorial debut with Kubo and the Two Strings in 2016. That film was critically acclaimed and landed Oscar nominations for Best Animated Feature and Best Visual Effects. Next month will see the release of his first live-action film Bumblebee, a prequel to Michael Bay’s Transformers. 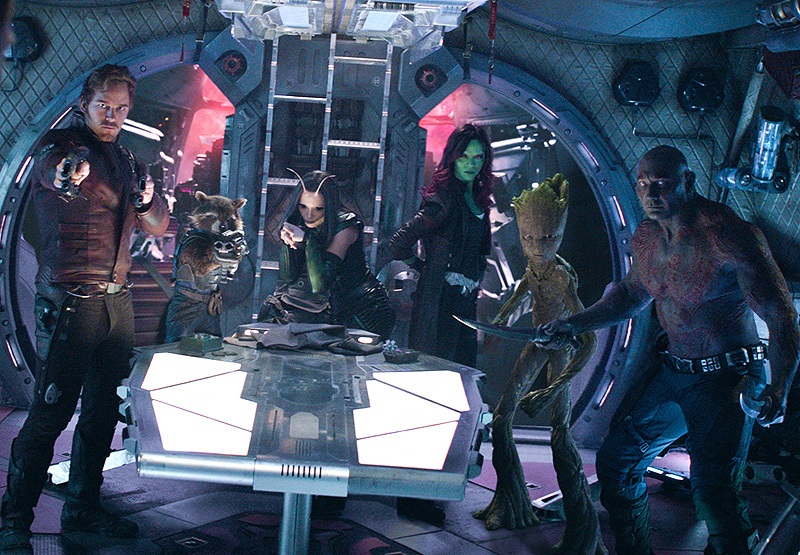 Knight’s experience with imaginative family-friendly cinema with visual flair could make him a respectable choice to take over the Guardians of the Galaxy series. As for Feig, he started his career as an actor before transitioning to writer/director as the creator of the now-classic series Freaks and Geeks. He established a steady career directing television and making a few unremarkable films like Unaccompanied Minors before he found success in R-rated comedies like Bridesmaids, The Heat and Spy all starring Melissa McCarthy. However, his attempt to enter the PG-13 franchise realm with 2016’s Ghostbusters reboot didn’t fare as well at the box office or with fans. His most recent effort was this year’s surprise hit thriller A Simple Favor, and he has the romantic comedy Last Christmas in development. Although he’s less of a visual whiz-kid than Knight, he has a better track record with live-action comedy and actually created his own humorous sci-fi show with Other Space, which lasted one season on the now-defunct Yahoo! Screen. Nevertheless, there’s still a legion of fans hoping for Gunn to be reinstated despite Disney standing by their original judgment. Just two weeks ago, a billboard calling for the director’s rehiring showed up near Disneyland in Anaheim. Even Drax himself, Dave Bautista, has said that he won’t return for another installment if Gunn’s script for the film isn’t used. When Gunn was still attached to direct, Guardians of the Galaxy Vol. 3 was preparing to start shooting in 2019. It was eyeing a theatrical release for the following year, but no precise date was given. Last month, however, Marvel dropped an unnamed movie scheduled for July 31, 2020 from its upcoming slate. This fueled speculation that the next Guardians film would be coming much later than anticipated. But if a new director is hired soon, they could potentially reclaim this date on the calendar and move forward as initially planned. It’s important to note that this is only a rumor and hasn’t been confirmed by Marvel, but do you think Travis Knight or Paul Feig could fill James Gunn’s shoes on Guardians of the Galaxy Vol. 3? Give us your impressions in the comment section below!